The Outer Banks Association of REALTORS® is warning residents of the OBX to be on the lookout for a scam involving long and short-term rentals on Craigslist. Scammers have begun posting ads on Craigslist looking for potential renters and offering extremely low monthly prices. Some of these ads will list legitimate rental companies on the Outer Banks. According to Fox News, rental home listing scams started to become widespread as of May 2016. It was also listed as one of the top 10 worst scams of 2017 by MIC.com. When the renter responds to the ad the “landlord” will send an email with a convoluted story about how they cannot meet the interested party but invites them to look around the property. The “landlord” will also mention that there is a lot of interest and suggest that the person wire several months of rent payments in advance to secure the rental before someone else can. “Basically if it looks too good to be true it is. Pay attention if warning bells go off and never wire funds without meeting the landlord first. 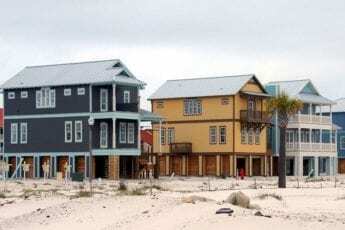 It is always a good idea to search the Dare County tax records to see if the home was recently sold and if the current owner’s name matches the landlord’s,” he said. If you find yourself the victim of this scam the Outer Banks Association of REALTORS® asks that you contact them at 252-441-4036 immediately so they may assist you in reporting the crime. Always do an “image search” and google the house name if it has one. You can usually find the listing on other sites and confirm it.